In 2009, UEFA announced plans to rechristen one of its flagship competitions, the Europa League. There was a palpable sense of anticipation for how the tournament would evolve. More than a decade later, millions of football fans are happily offering up their attention to UEL’s matches. So successful has the experiment been in fact, that the UEFA Europa League 2 looks likely to become a reality. UEFA is planning to cut the ribbon on the competition in 2021. Luckily, for the European football board, reception to this plan has been positive. Football fans will once again be offered three different international tournaments. And, they seem anxious at the prospect of this happening. There is a vital distinction to be made. The Europa League was always intended to distinguish itself from the UEFA Champions League. Yes, few sporting events can compete with the popularity of the UCL. But, the UEL is meant to have its own charm. Its appeal often lies in the surprising results of many of its Europa Cup fixtures. It’s exactly what the public wishes to see. It’s the chance to view important European clubs do battle with minions, and often times fail to win. Truly, the UEL is not merely a second-tier competition to UCL. In just the same way, the fantasy Europa League football is different from the fantasy Champions League. It has its own character and distinctive features. It includes dozens of Europe’s most exciting teams fighting for silverware. The numerous players often include exotic talent. The UEFA Europa League stretches the fantasy football managers’ knowledge and flair to the limit. Top players from famous teams like AC Milan, Arsenal or Chelsea are among the teams from which they can choose. But, it may turn out to be that the surprising choices of players from the likes of Dinamo Zagreb, Slavia Prague, Fenerbahce, are the ones that create fantasy football winning teams. Taking note of the potential of the Europa League, FootballCoin developers knew they needed to include the tournament. It is why, beginning with the group stages, all the matches in the UEFA Europa League schedule, are represented in the fantasy UEL contests by FootballCoin. The Europa League fantasy is the spice to FootballCoin’s well-researched recipe. Why so? The Premier League, La Liga or Serie A fantasy contests have their stars. They are well established and expected to perform to their standard each week. The Champions League has its favorites for the crown. Those teams and their players tend to parade into the final stages of the competition each year. Even the World Cup has its usual suspects. The teams that win the prestigious trophy are nations blessed with an incredible football tradition. But, the Europa League fantasy team has to be assembled from an altogether different perspective. There are the up and comers looking to make a name for themselves. Such was the case with Ajax Amsterdam‘s group of youngsters that reached the final in 2017. Do they deserve a spot on the team? There are also the world stars, forced by circumstance into a competition that reputation dictates they should win. Atletico Madrid won the trophy in 2018. Their squad featured some of the biggest names on the international stage. Among them Antoine Griezmann, Diego Godin, or Diego Costa. For those top players, it was a mission that was accomplished. But, choosing the celebrities of the tournament does not always guarantee success. The Europa League scores aren’t always this straight forward. It is was fantasy football managers from FootballCoin found out by banking on the likes of Arsenal or AC Milan. Recent seasons of the Europa League have been unpredictable. Generally speaking, the fantasy Europa League in FootballCoin is open to surprises. Yes, the selection process guarantees that the top-notch teams will take part in the competition. But, the Europa League scores and performances and notoriously difficult to predict. It is here that Europa League fantasy football appears at its most competitive. It’s the knowledge and diligent research of the fantasy managers that makes or breaks a fantasy draft. How are the best Europa league fantasy picks determined? The strategies employed in fantasy football are wildly different. It is the same as how the football philosophies of the world’s top managers vastly contrast with one another. Simply said, there is no recipe for success. This is what makes the FootballCoin contests unpredictable and exciting to be a part of. But, the cornerstone to this fantasy football game is the FootballCoin scoring system. When assembling a team for the Europa League fantasy contests, as well as for all other leagues, it’s what must be taken most into consideration. The FootballCoin scoring system was carefully designed so that the most important events on the pitch would be measured. The top fantasy players are rewarded for their achievements, whether it’s scoring a goal or succeeding in offering a good pass. All of these are then added up towards his fantasy football report card. The system is meant to create a balance. For example, the players’ positions are taken into account for each one of the elements that are being judged. A defender that gets on the scoreboard or offers an assist will receive more points than a striker that does the same. This is, of course, because of the likelihood for a defender to score as opposed to a striker. Overall, these test the fantasy managers’ knowledge and the degree their aversion to risk. Only a knowledgable, and let’s face it, fortunate fantasy manager would have chosen Filip Kostić (Frankfurt) for his Europa League draft in the 2018/19 season. What has made Kostić rank as good, or better, than players like Willian (Chelsea) or Wissam Ben Yedder (Sevilla)? The midfielder was simply tremendously good in a lot of areas on the football pitch. Each one of his achievements may not have earned him international coverage. But, they all brought points that stacked up and that went towards the score of the fantasy managers that took the risk. Kostić is currently one of the leading players in terms of completed crosses or of passing accuracy. Besides this, he has scored three goals and contributed one assist in the eight Europa League cup fixtures he has played. At least these are the figures at the time of writing. Yes, choosing the right midfielders is often the beginning of creating a competitive fantasy team. According to many, that’s a pro tip right here. Or, consider the prospect of choosing a deadly striker for your fantasy team? With many high profile teams in the running, the process can seem quite daunting. 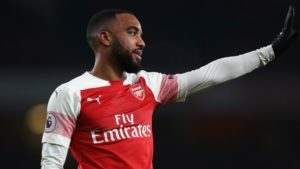 During the same 2018/19 season, one of the best strikers in the competition was a player under heavy scrutiny from the press. He had received plenty of criticism for his performances in all other competitions. But, by the start of the UEL Quarter Final stage, Olivier Giroud (Chelsea) had scored an impressive 9 goals. Giroud is without a doubt an established player. But, at this stage, he was far from an obvious choice for the team. The Frenchman had been a fleeting presence for the Blues in the Premier League. He had only scored a handful of goals here and in other competitions. In the fantasy Europa League, however, he was unsurpassed as a forward. A similar thing occurred with another of Giroud’s teammates. It happened courtesy of the rotation policy employed by manager Maurizio Sarri. English wonderkid Callum Hudson-Odoi displayed his great range in the UEL, scoring four times in the process by the QF stage. These performances were instrumental in making Hudson-Odoi the youngest player to represent the Three Lions in an official game. And this, before he had had a chance to start a game in the EPL. Was the winger an obvious choice for the EPL fantasy draft? No, he was not, but still, many managers knew to choose him. It was because of knowledge and, sometimes, because of luck. However, it paints a clear picture. The fantasy Europa League in FootballCoin comes down to skill. It remains a terrific competitive event each time that it is played. As for the Europa League itself, it has created a reputation for being even more competitive than its counterpart, the Champions League. Traditionally, The UEL features about a dozen teams each season with a serious chance of winning the competition. The UCL, however, for all its qualities, tends to have 4-5 teams that realistically have a good chance of winning silverware come to the end of the season. For the time being, the Europa League’s format includes a preliminary round, three qualifying rounds, and a playoff. It’s a difficult process. But, it allows worthy European minions to join the ranks alongside established European clubs. Once the preparatory process is over, 48 teams enter the final stage of the competition. No other high ranking football competition currently includes as many teams as the UEL. From this point onward, all the matches played in the UEFA Europa League are included in FootballCoin contests. The Europa League cup fixture is per the rule exciting, usually too close to call. Teams with incredible pasts, as well as clubs new to the European stage, meet for the fans’ delight. The Europa League winner receives an automatic membership for next season’s Champions League. As many football enthusiasts will know the Europa League is a direct descendant of the UEFA Cup. This tournament belongs to an era when three international club competitions existed. In theory, participation in each one of the tournaments rewarded different achievements. The Champions Cup, currently the Champions League, was created for the title winners of domestic leagues. The UEFA Cup Winners’ Cup, rewarded the teams that would claim the winners’ medals in their country’s league competition. This tournament ceased its existence in 1999. It largely became integrated within the UEFA Cup. As for the UEFA Cup, a competition started in 1971, it was created for the teams finishing just below the top spot in European leagues. Perhaps, fantasy football competitions organized by individuals for their friends. They may have existed by this stage and may have included the UEFA Cup. But, official fantasy contests only began in recent decades. The UEFA Cup was the first competition to introduce a nation coefficient. It began the practice in 1980 as a way to allow the higher quality football leagues in Europe to send more teams into the competition. The system was adopted by UEFA for the Champions League starting with 1999. For a brief period, UEFA organized a fourth club competition, the Intertoto Cup. The UI Cup was largely organized to fill the gap during the summer months when there was little football activity. The top participating clubs received the opportunity to qualify for the autumn’s UEFA Cup. When the Intertoto Cup was discontinued in 2008, the Europa League integrated the tournament. The teams that would otherwise have entered the UI Cup during the summer now started in the preliminary stages of the UEFA Cup. With so much having changed about the UEFA Cup in recent seasons, the European federation decided that a break with the past was necessary. In 2009 the competition was rechristened the Europa League. Its current format is the one also used for FootballCoin fantasy football. The current format may have one issue that it needs to resolve. It currently features a large number of teams, most of them involved solely in the preliminary stages. Taking this into account, UEFA plans to move back to a three competition system. 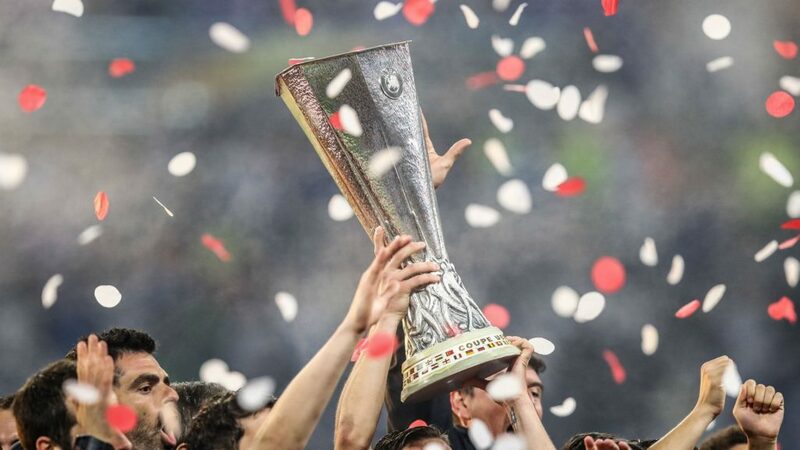 The Europa League 2 is planned to be launched for 2021/22 season. While no official plans have been made, FootballCoin will continue to include the most important matches in European football. If the Europa League 2 meets these standards, and likely it will, then it too will be featured in the fantasy football contests organized through FootballCoin. If you were like me, any big football tournament was an opportunity to collect cards representing the players taking part in it. I and my friends were anxious to create a collection we could then show off. FootballCoin is created to include the same concept. Only that here, the cards are used to create winning fantasy football teams. It’s also important to note that the ownership status of the cards remains unchanged forever. A card of any of the important players that you may own is yours to do as you wish with it. In this way, participating in the FootballCoin game represents an investment. Other games have you spending time for the sole purpose of enjoying their game. There are few rewards otherwise. But, FootballCoin can represent an investment. This is because the cards, XFC cryptocurrency, organizing contests etc. can all reward managers. FootballCoin is a free to play game. It is also a game of knowledge, where making the right choices of player assures your success. To keep in line with these philosophies, FootballCoin’s beginnings have included a vast majority of free player cards. Only a small minority of players, the elite, are represented by paid player cards. Even if changes to the free player cards rule may occur in the future, one thing is for certain. FootballCoin will remain a game that aims to create similar opportunities for all participants. Yes, the most famous players in fantasy football are represented by paid cards. These cards can be acquired using XFC cryptocurrency, which can be won, as well as bought. Once a fantasy manager acquires any of these cards, they enter in their ownership until they may decide to sell or gift them. The value of these players is determined using a wide array of elements, including their market value as reflected by sites such as Transfermarkt, the number of important trophies they have won, their reputation etc. Are they worth purchasing when the majority of players is free? Statistics show that in certain cases the answer is “yes”. There are some clear reasons for Lionel Messi or Cristiano Ronaldo enjoying the kind of popularity they have. Much of it has to do with their exquisite level of consistency. In other words, buying a card representing Messi and Ronaldo represents an investment since these players gather a lot of points for your teams with each new match, new competition, or new season. Then, does creating a UEL fantasy team made up entirely of free player hinder the chances at success? Past events would suggest this is not the case at all. The truly knowledgable managers have been able to make wise choices. they were able to compete occasionally using exclusively free player cards. For example, few fantasy managers would have opted for Andrey Lunev as their starting goalkeeper during the 2018/19 season. But, Zenit performed well in the competition stopping just shy of the Quarter-Finals. Up to that stage, Lunev was one of the best players in the competition. The Russian goalie had earned 173 points by the time his team had left the competition. Lunev was also a free player card. This means that any manager would have had the option of picking him for their team, and would have been better off for making this choice. However, only the best informed of fantasy enthusiasts knew to do this. The same season of the Europa League confirmed the notion that the competition was open to surprises. Indeed, teams such as Chelsea and Valencia were qualified among the last eight teams in the UEL event. But, what about Slavia Prague or Eintracht Frankfurt. These clubs had also earned a place in the Quarterfinals. Their season had been all around impressive. Their players filled the list of MVPs. The element of surprise of the competition can not be ignored. It makes for an entertaining event for all, especially for the fantasy UEL managers. Now that enough time has elapsed, what can we learn from the past UEL fantasy winners? Where do the FootballCoin fantasy managers get their selection tips? What are good resources where the managers can track down the vital stats? To start with, there is no winning formula. And, this is something we should all be really pleased with. It means that the contests’ results can always surprise us. And, there are many types of strategies employed by managers. But, we do our best to report on them, mainly in FootballCoin’s blog section. True, there are methods of playing the game that tend to work more often than not. These strategies get discussed, alongside player news. The FootballCoin scout and various other articles offer insight into the players’ form. Or, they sometimes signal potential injuries and suspensions. (It should be noted that the game platform includes injury or suspension info as well). This also helps assemble a do not draft list for the same fantasy football contests. The blog section offers entertaining and useful content for fantasy managers. Perhaps, they can use the article to find out about the players’ making the highest number of assists. This is surely precious information in the hands of a skilled participant. Maybe, they want to know which have been the worst players this season, so that they can avoid them. This info is a crucial asset in the battle to be top of the leaderboard. How does a manager’s team change during the fantasy UEL season? A manager’s choices for his team can change. It happens just as the teams taking part in the competition change due to them progressively being eliminated. While other fantasy games allow only a set team throughout the season, this is not the case with FootballCoin. It’s because FootballCoin is a daily fantasy football game. Its managers are not restricted by budgetary concerns, or by a fixed number of players that they can pick. In this way, managers are encouraged to explore and discover. They need to be inspired to adapt their choices to the matches at hand. And, perhaps the most important of all, they are required to create a winning team with every new contest. This keeps both past winners, as well as newcomers, motivated in their pursuit for success. The majority of fantasy football games also have restrictions. Especially about the number of high reputation players that managers can choose. The players’ worth is usually reflected through a fee. Managers receive a budget. They may not exceed this budget. But, FootballCoin does not include these conditions. A manager can both assemble a squad of entirely free players, or of players rated with five stars. The fantasy manager can do as they wish to better accommodate their own fantasy football draft strategy for success. One of the great news about choosing a player card active in the fantasy Europa League, is that it can be used on multiple fronts. Take for example Belgium player Eden Hazard. 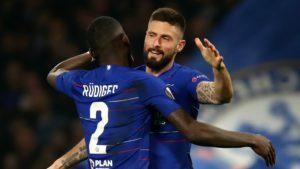 During the 2018/19 season, Chelsea qualified for the UEL. Owners of the card could include him in their draft for the fantasy UEL contests. But, Hazard’s team, Chelsea, is also active in the Premier League. All of the EPL fantasy contests featuring Chelsea, have Hazard as a choice for the fantasy draft. Also, during the summer of 2018, Hazard was one of Belgium’s most important players during the FIFA World Cup. The competition was naturally hosted through FootballCoin. Again, Hazard could be selected. Many managers chose this route and it turned out to be quite profitable. The Belgium maestro finished the tournament as one of its most efficient players. His real-life performances were then reflected in the fantasy football competition. Users may choose to join an existing contest or create their own. The contests that have already been set up are either public (created by the FootballCoin team) or private (created by individual users). Those creating their own contests may choose its features. For example, they can decide on the entry fee for each participant. Owners will also be rewarded a percentage of the prize pool. The matches that will be included and, even, the participants may also be decided by the contest organizers. Creating a fantasy football contest is also free. Any user can organize a contest that may include up to 11 participants. However, those that decide they wish to hold contests with a higher number of participants will be required to buy a stadium card. Similar to the player cards, the ones used for the stadiums contain a ranking system. The highest rated cards receive a 5* rating. The rating is determined by several factors. These include the number of seats for the stadium, its history and reputation etc. The highest rated stadiums can be used to organize contests for an unlimited number of users. Indifferent on the league from which the matches are chosen, FootballCoin users are encouraged to find innovative ways of using the game. One of the ways in which the game can be appreciated is precisely the one of tournament organizer. Perhaps you wish to set up a league with a group of friends and only play among yourselves. Perhaps you wish to promote your league as a means to acquire a profit when a high number of fantasy managers wish to join. Or, maybe, you simply want to make sure that only certain games are chosen for the contest. Whatever your motive, you are free to join FootballCoin and set up your own contests if you wish to do so. There is also no reason for concerned about the game system being swamped by competing contests. Others may certainly organize their own events. But, the number of collectible cards, players or stadiums, are issued by FootballCoin in a limited amount. More than that, since the game’s beginning, the amount of cards being offered on the market has been controlled to correspond to the number of registered users and to the game’s growth. Does FootballCoin have a mission? And, if so, how can it be defined? Yes, FootballCoin’s main goals have not changed radically since the game began. Its developers hope to create a bridge between the growing worlds of fantasy sports and cryptocurrency. The FootballCoin game aims to grow organically. It hopes to offer long-lasting support to cryptocurrency enthusiasts. The evolution of the game and its community prove one thing. Just how serious the FootballCoin team has been about maintaining its original ideals. 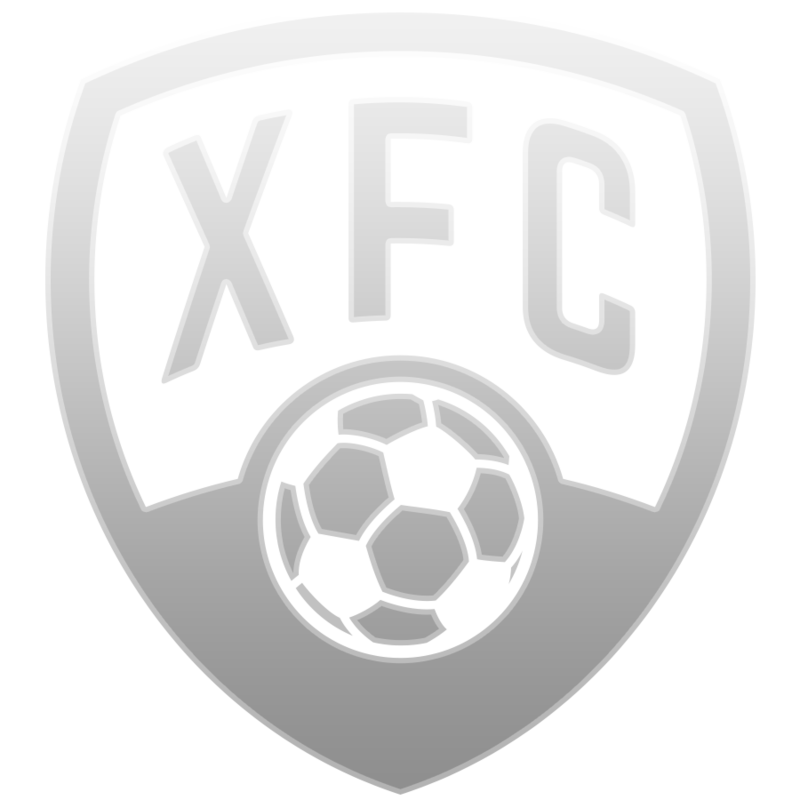 Powering the FootballCoin system is the XFC cryptocurrency. XFC is at the heart of the game. All activities inside the game (entry fees, the purchase of cards etc.) are made using XFC. Participants in these events receive XFC as a reward for their fine performances. XFC has all the characteristics of major cryptocurrencies such as Bitcoin. XFC was issued in a fixed supply on FootballCoin blockchain platform. Owners of XFC are free to exchange it on one of the platforms that include it. They may also make use of it inside the game. They can enter contests, purchase cards, make offers for existing assets etc. In the moment that I am writing this the winner of this season’s Europa League remains a mystery. Great teams and wonderful players are still involved in the competition. Will a football superstar be the one to lift the prestigious UEL trophy? Will you bank on these stars when assembling your own fantasy football draft. Or, will a lesser known team be the one to create a surprise? Would you rather bank on the enthusiasm of their players when creating your draft? Whatever the fantasy football strategy, FootballCoin allows you to prove yourself. As for the fantasy UEL contest, it is without a doubt one of the most exciting competitions to be included in FootballCoin. At the end of the road, have your decisions been wise, there waits pride, experience, and hefty XFC prizes. If fantasy football is among your most burning passions, you should not miss the opportunity of registering your FootballCoin account, joining the community and creating your ideal draft.